With Florida’s hot summer weather just around the corner, many of our customers ask about ways to improve the efficiency of their air conditioning. Through April 25, 2015, we’re happy to announce unbeatable rebates on our most popular energy efficient window treatment styles. It’s our Hunter Douglas Energy Smart Style Promotion! Solera is the only soft shade made with a cellular construction. Available in woven and non-woven fabrics, these unique shades come in a 4″ cell size and are available with light control options from light-filtering to room-darkening. Operate with the standard manual option or advanced motorized systems for added child safety and convenience. 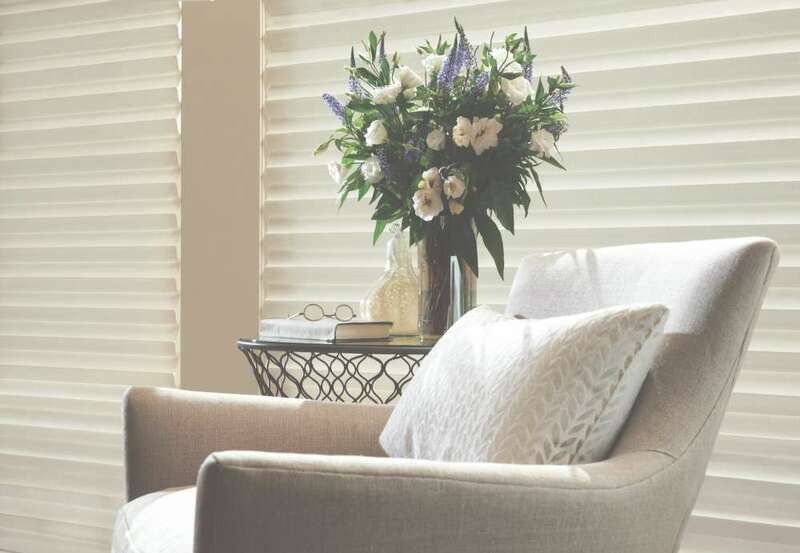 Duette Architella Honeycomb Shades are made of soft and durable fabric, and are available in several pleat sizes, a wide range of colors and textures, and fabrics with opacities that range from sheer to opaque. With R-Values up to 38% greater than comparable pleats, Duette Architella shades trap air before it enters your room, improving the energy efficiency of your home. Silhouette Window Shadings are as beautiful as they are functional. Also a great option for energy efficiency, the S-Vane construction of Silhouette shades make them unique in both style and functionality. Tilt the vanes in any way and you’ll soften the light and view while maintaining privacy. Closed, the vanes offer complete privacy while still letting in the perfect amount of light. Hunter Douglas Vignette Modern Roman Shades are created from soft, gently contoured folds of fabric. Unlike any other window treatment on the market, Vignette Modern Roman shades offer energy efficiency through the tailored look of a custom drape combined with the ease of a shade. Treasure Coast Window Fashions provides more than just the finest window coverings. Our owners are involved in every project from start to finish to ensure your window covering project exceeds your expectations. We’re proud to serve the greater West Palm Beach area. Please contact us at 772-220-8870 or visit our showroom in Stuart, FL, for more information about our products and services. Contact us to learn more.